The Ukraine crisis has catapulted energy efficiency back up the political agenda. “Now more than ever, energy efficiency, energy savings need to be our first response to energy import dependence,” said Oettinger on 28 May. 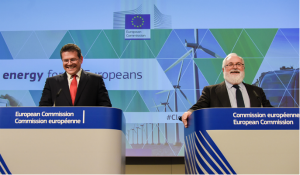 He went on to announce that the Commission would complete its review of current EU energy efficiency policy by summer and that he hoped to propose a new energy efficiency strategy for 2030 in September. Member states have long opposed a binding target for efficiency, but in response to a journalist’s question Mr Oettinger answered: “Yes, it would be appropriate to propose a binding energy efficiency target.” He refused to say at what level this should be set. Meanwhile, the new security of supply strategy gives few details of what’s to come. It does say that energy demand in buildings, which accounts for about a third of natural gas use, “could be cut by up to three quarters if the renovation of buildings is speeded up”. The Commission wants to assess the risk of gas supply disruptions at regional – and ideally EU – level. It plans to simulate a disruption and check how the energy system copes. Based on that, the Commission wants to develop emergency plans and back-up mechanisms such as increasing gas stocks, developing reverse flow options, reducing energy demand, and switching to alternative fuels (for heating in particular). Priorities for the stress tests will be the six member states 100% dependent on Russian gas (Finland, Estonia, Latvia, Lithuania, Bulgaria and Slovakia), plus high-volume importers such as Germany. The Commission will review the Security of Gas Supply Regulation adopted in the aftermath of the gas crises of 2006 and 2009, by the end of this year. The regulation already requires suppliers to provide 30 days back-up supply capacity. The review may suggest developing a regulatory framework for gas storage that recognises its strategic importance for energy security and a more precise, EU-wide definition of “protected customers” – these are customers (often households) whose gas supplies are guaranteed in times of disruption. The EU imports 88% of its crude oil (versus 66% of gas), a third of that from Russia. But about 90% of oil imports arrive by sea so there is plenty of scope to change routes and suppliers if necessary, says the Commission. On top of that, the EU is well-equipped to deal with disruptions through the emergency oil stocks directive. This requires 90 days back-up supply capacity – and the EU at present actually has 120 days to hand. Having said that, the Commission recognises that some European refineries are optimised for using Russian crude, that EU refining capacity is increasingly in the hands of (a shrinking number of) Russian owners, and that the EU is a net importer of Russian diesel. The results of a “fitness check” of the European refining sector, with recommendations on how to keep it competitive, are due out in the summer. They will be discussed by the EU Refining Forum. 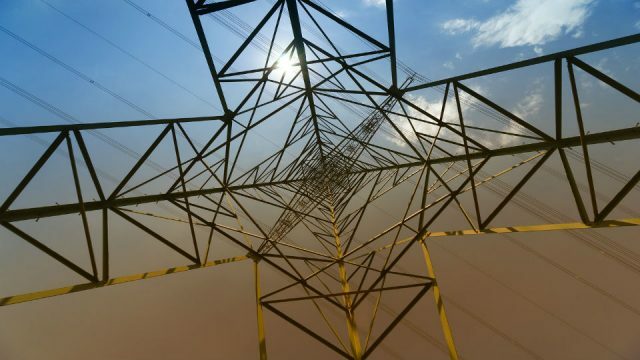 27 gas projects and 6 electricity infrastructure projects have been identified as critical for the EU’s energy security in the short- and medium-term. The Commission has selected the priority projects from an existing priority list of 248 “Projects of Common Interest (PCIs)” for Europe. All PCIs are eligible for faster permitting and some may qualify for direct EU financial support. The 33 “security priorities” are mainly located in Eastern and South Western Europe and include interconnectors, LNG terminals, reverse flow investments, new pipelines and pipeline upgrades. They add up to an investment of around €17 billion. The Commission will put extra effort into getting them done, ideally half of them by 2017, by facilitating communication between parties and helping build political support. The Commission proposes to extend the current 10% interconnection target to 15% by 2030. Proposing is one thing, delivering another. The 10% target was originally supposed to be met by 2005, after having been set at the Barcelona Council back in 2002. Today, the average interconnection level is 8% although this obscures individual bottlenecks. Spain and Portugal have pointed out that the interconnection capacity of the Iberian Peninsula with the rest of Europe is just 1-2%. In the context of the 2030 debate, Portugal has proposed interconnection targets of 20% for 2020 and 25% for 2030. Russia is a key competitor in nuclear fuel production and offers integrated packages for investments in the whole nuclear chain. Member states need to be careful that new nuclear power plants in Europe, using Russian technology, are not wholly dependent on Russian fuel. “The possibility of fuel supply diversification needs to be a condition for any new investment,” says the Commission. A case in point is Fennovoima in Finland, which signed a deal with Russia’s Rosatom last December to build a new nuclear power plant. Europe imports 95% of its uranium but this is from a diversity of suppliers. Turning it into fuel is managed by a limited number of companies. For non-Russian reactors, the process can be split to involve different providers. But for Russian reactors, the process is bundled and managed by one Russian company, TVEL. With Russian reactors in Finland, Bulgaria, the Czech Republic, Hungary and Slovakia (and one US-fuel-dependent reactor in Slovenia), the EU is currently about 40% dependent on foreign providers for its nuclear fuel. As an interesting aside, note that Eurostat does not count uranium as imports and treats nuclear electricity as a domestic resource. The Commission says it “widely agrees” with the proposals for an Energy Union presented by Polish Prime Minister Donald Tusk. More specifically it says “well targeted and carefully designed and executed joint purchasing initiatives or mechanisms could be beneficial” to European security of supply. The Commission makes explicit reference to the “collective purchasing mechanism” of the Euratom Supply Agency as a possible way forward. This Agency retains the right to object to a purchase contract it believes would jeopardise security of supply. It also issues regular reports to improve transparency. Another idea is voluntary demand pooling to increase European bargaining power. All options would need to be fully in line with EU and trade law, the Commission stresses. A working group with experts from Poland the Commission will report back by the June summit. In any case, in future the Commission plans to get involved at an earlier stage in intergovernmental energy agreements with third countries. In a clear message to Gazprom, the Commission says infrastructure investments by dominant suppliers must adhere to all internal market and competition rules. These require Gazprom to allow third party access to its infrastructure, but the company has taken the EU to the World Trade Organization (WTO) to contest this. Southstream, the Gazprom-backed pipeline which will bring Russian gas to Europe across the Black Sea, “should be suspended until full compliance with EU legislation is ensured and re-evaluated in light of the EU’s energy security priorities” the Commission says. Renewables are 96% indigenous (the remaining 4% are mainly biomass) and grew to 14% of EU final energy consumption in 2012, just above nuclear at 13%. This saves Europe at least €30 billion a year on fuel imports, calculates the Commission. 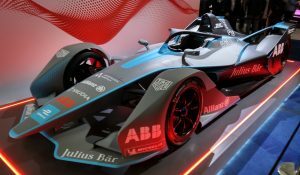 It singles out a fuel-switch to renewable heating as offering particular potential for the future. When it comes to gas, the Commission singles out for special mention a reinforced partnership with Norway (which could supply an additional 10 billion cubic metres of gas in the short term, it estimates), the acceleration of the Southern Gas Corridor, and the promotion of a new gas hub in Southern Europe. Plus the obvious extension of LNG imports. 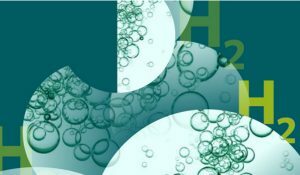 Conventional oil and gas resources should be developed in full compliance with energy and environment laws and the potential of unconventional hydrocarbons assessed with the “highest environmental standards”. Coal and lignite only have a long-term future in Europe with carbon capture and storage (CCS). 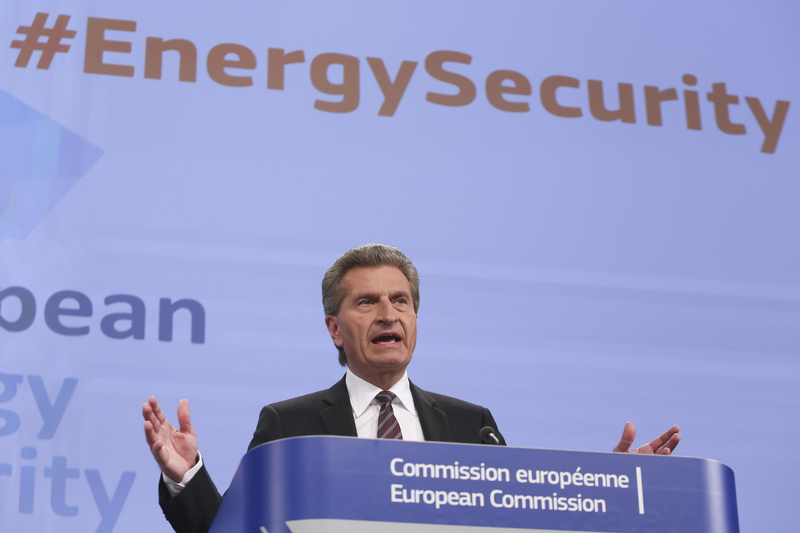 This is the Commission’s new “hard-headed” strategy for energy security. Reactions from journalists and stakeholders were sceptical. Green groups created with dismay at what they perceived as a business-as-usual approach to greater energy security: investments in new gas infrastructure. 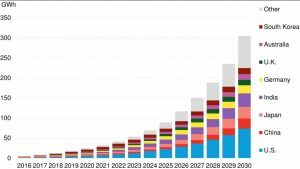 “If Europe reacts to the current crisis by throwing public money at new fossil fuel infrastructure, it will risk creating expensive white elephant projects that will be obsolete in a few years time,” warned Jonathan Gaventa, infrastructure programme leader at think tank E3G. The European Wind Energy Association (EWEA) said the new strategy “shows policymakers have opted to swap dependency on Russia for unstable regions in the Middle East and North Africa, while largely neglecting increased production of renewables as a key option for energy independence.” It has already pointed out that a 30% renewables target for 2030 would reduce gas imports by almost three times as much as the 27% target proposed by the Commission. Green MEP Claude Turmes proposes a swift expansion of wind and hydro energy in the Baltic as a way to strengthen energy security there. 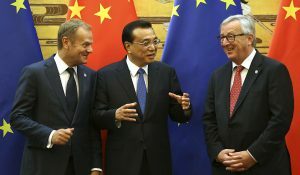 The Commission has made an effort to connect up its security of supply thinking to its proposals for a 2030 energy and climate policy. The latter will generate “substantial energy security benefits” it says, especially through the proposed renewable energy target and a new energy efficiency framework. In the 2030 scenarios it analyses, import dependence goes up in every case. Improving security of supply will cost money and it will not be easy, as the examples above illustrate. But without the actions Brussels now proposes, it will go up even more. Europe imports more than half its energy (53%) and has done so for the last decade. Only a third of the gas it consumes is produced domestically. It has a better security of supply situation for gas today than it did in 2006 or 2009, but six countries remain 100% dependent on Russian gas. Eighteen others import at least some Russian gas. Only four countries – Ireland, the UK, Portugal and Spain import none at all. In total, Russia supplies 39% of Europe’s imported gas. Such sweeping statements as Mr Oettinger’s inevitably contain a mixture of the good, the bad and the indifferent. This one ignores recent real market developments that should give EU consumers hope. The most significant is the news that Gazprom and Eni have agreed to gas price indexation for 20-bcm/yr or so that Eni buys, thus ending 40 years of oil price indexation. Coming at the same time as the much-trumpeted (but from a European market point of view completely irrelevant) Russian gas deal with China, this shows that Gazprom, and Mr Putin, are actually trying to make life easier for for their European customers at a time of tension. And why try to clobber South Stream, which could, theoretically, end all the problems with Ukrainian transit? The EU’s record in the strategic pipeline game – remember Nabucco? is hardly an impressive one. Finally, if the EU is so worried about security of supply, isn’t it time to ask the Germans to reconsider the impending shutdown of their nuclear power plants?